Note: You must have your account more than 24 hours to be able to delete it. If that’s not the case, you need to wait first. 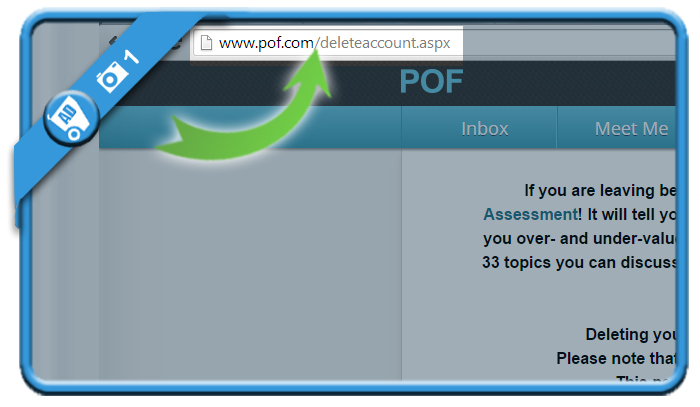 while you’re logged in your POF account, type the URL that you see in the demo below: http://www.pof.com/deleteaccount.aspx. It’s the only way to start the cancellation process of your account. 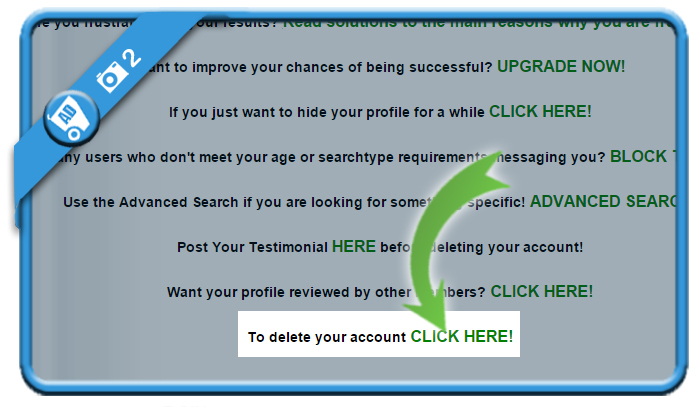 is the link you will find at the bottom of that removal page. is the button at the bottom of the page you need now. Congratulations, your Plenty Of Fish account has now been closed. 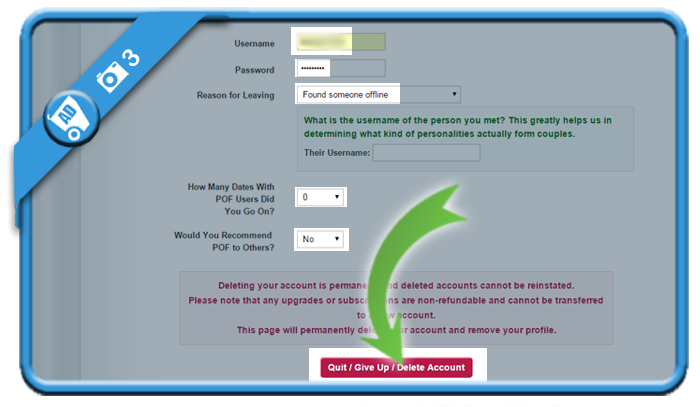 You can reset your POF password on this page: http://www.pof.com/getpassword.aspx. Once you’ve done that, you can close your profile. I’m not getting the 3rd page you show when deleting a POF profile so I can’t get rid of the thing! This has been frustrating me for more than 2 weeks now. Have others noted the same problem?